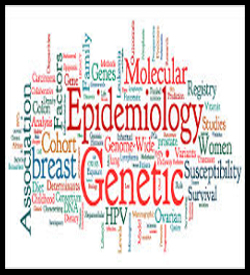 5.Establishing data base to understand prevalence of mutation for specific genes and Immunological profile of population. 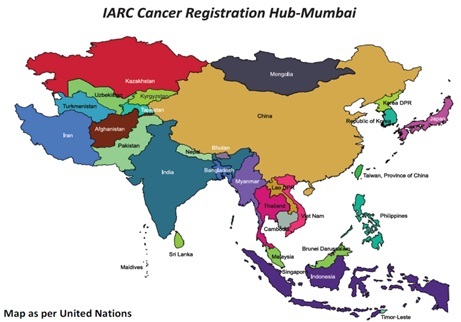 Training : One week to One month training to cancer registries personnel from Asian countries. 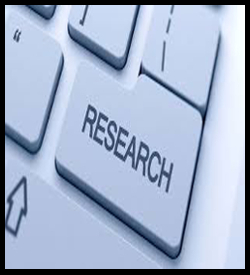 Research : Utilization of data by conducting descriptive epidemiology research and publishing reports and monographs. Networking : Strengthening links with International Association of Cancer Registries. Active role in regional networks of registries. Established as a part of Global Initiative for Cancer Registry Development. Preparation of Cancer Incidence in Asia Vol 1. Preparation of manuscripts and reports on Cancer Trends in India and Asia. To provide technical support to set up good quality cancer registries in India so as to estimate cancer burden in India. 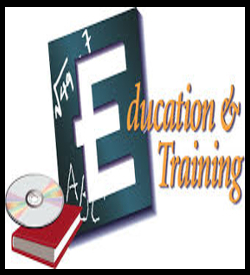 To compare methodology of different registries in India and provide training and guidelines for registry operation. Cross sectional survey to identify prevalence of obesity and other risk factors related to development of chronic diseases. 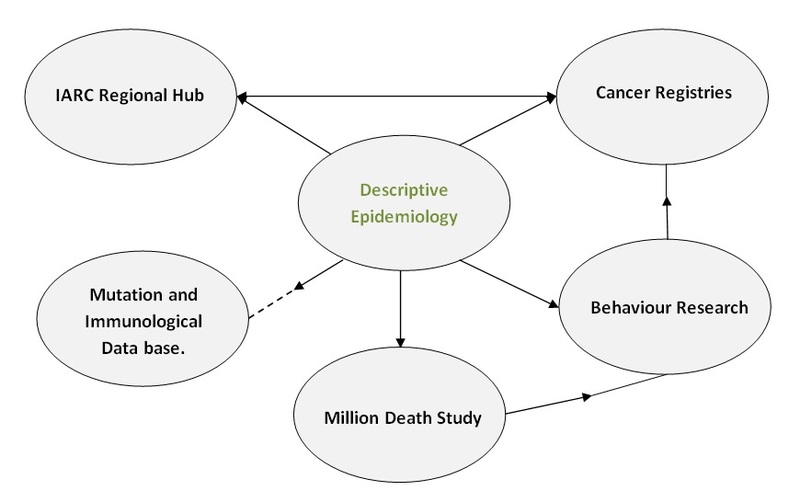 Cross sectional surveys to identify prevalence of infectious agent related to cancer (in collaboration with IIPS). Cancer Screening research and evaluation (in collaboration with other units of TMH). Tobacco control research & evaluation (in collaboration with other units of TMH). Supportive care research & evaluation (in collaboration with other units of TMH). Collaborating with study since its inception to know causes of death in India. Work done so far publish in high impact factor journals including Lancet and New England Journal of Medicine. 5. Establishing data base to understand prevalence of mutation for specific genes and Immunological profile of population. We will aim to develop population based database for mutation in important genes (p53, K-ras for example) to identify gene variation in human population and tumour samples. Similar data base will be developed to understand immunological profile of Indian population. This will be done as second phase activity between5-10 years from now once all other units and laboratories are well established.